﻿As a small organization, every penny counts. We are incredibly grateful for the amazing volunteers that invest their time and talents in order make this program successful. 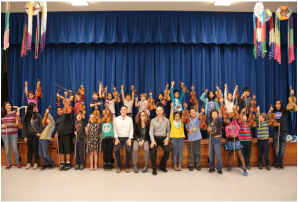 Bay Area Music Project is always accepting applications for talented teaching artists and substitutes throughout the year. Check our job listing or submit an application here.